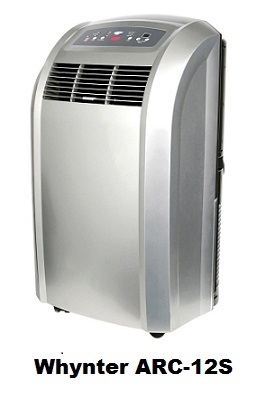 If you don't have central air conditioning or the built-in infrastructure required for wall AC units, or if your central air conditioning is costing you a lot and you wish to cool down only certain rooms at certain times to cut cost, a portable air conditioner can be a wise investment. - The installation procedure of their exhaust hose is much simpler than what's required to install a window air conditioner. - Because they are very easy to install and are usually equipped with caster wheels, they can be easily moved from one room to another. - They are quieter than window air conditioners. The simple to use installation kit and the exhaust hose are usually included in the purchase. Note that certain buildings do not allow the use of window units because they alter the exterior appearance of the building. Most portable air conditioners do not have any parts that will protrude from your window and can safely be installed without violating any such regulations. 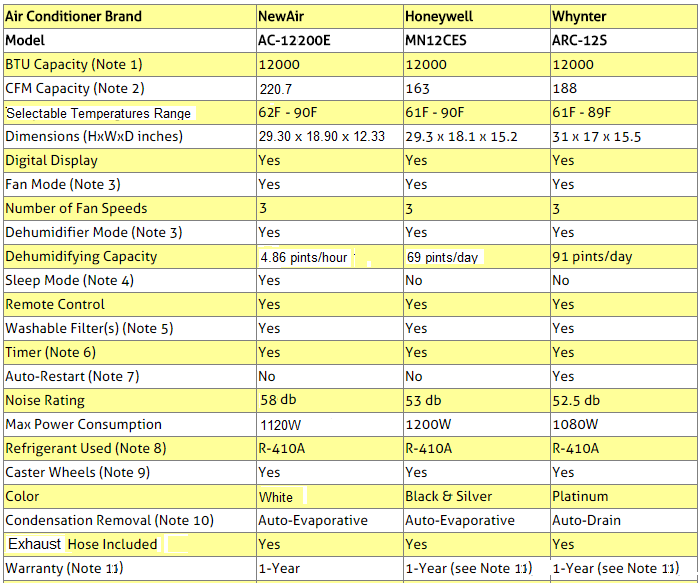 This article will compare NewAir AC-12200E, Honeywell MN12CES and Whynter ARC-12S portable air conditioners. All three units to be compared here are 12000 BTU units which are generally considered to be adequate for spaces ranging from 350 to 450 square feet (note that we have also provided higher BTU units with similar features in the Amazon section below). BTU (British Thermal Unit) is the amount of energy needed to cool one pound of water by one degree Fahrenheit. It is used as a measure of power in heating and air conditioning industries. CFM (Cubic Feet per Minute) describes the maximum amount of air volume that the air conditioning unit can move per minute. The larger the CFM the faster the room will cool. All three units are equipped with the cooling, dehumidifying, and fan functions. The cooling mode both cools and dehumidifies the room. 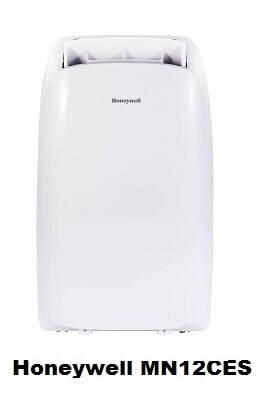 To dehumidify without cooling, you will need to choose the dehumidify mode (it’s the DRY mode for NewAir). The fan mode only circulates air in the room. NewAir sleep mode will adjust the temperature while you sleep for energy efficiency and comfort. The filters of all three air conditioners are washable, but should be replaced every two to three months. All three air conditioners are equipped with 24-timers that allow programming activation or shut-off of the units at pre-set times. During power outages, Whynter ’s auto-restart function will automatically restart the unit at its previous setting. R410A is an environmentally friendly refrigerant. Caster wheels provide easy mobility between areas. All three units use auto-evaporative and/or auto-drain technologies resulting in improved cooling efficiency and almost no water condensate accumulation. Properly vented, normally, you should have almost no water accumulation or condensation. However, if they are working in high humidity or low temperature environments, some water will collect in the reservoir inside the unit, and it will need to be drained. When their reservoir gets full, the units stop working and a warning light indicates that the reservoir needs to be emptied. Note that these units are able to continuously operate without excess accumulation of condensation by attaching a drainage hose to their drainage port and connecting the other end of the hose to a drain. Honweywell provides a 1-year warranty for the unit and an additional 4-year for the compressor. Whynter provides a 1-year warranty for the unit and a 3-year warranty on the compressor. So which air conditioner should you get? The Whynter unit is the most silent of the three, though the noise difference with the other two units is not much. Also, Whynter 's maximum power consumption is slightly inferior to the other two units. Finally, Whynter is the only one that comes with the auto-restart function when there is a power failure. On the other hand, the NewAir unit provides the highest dehumidification capacity (4.86 pints/hour) and has the highest CFM which means it will cool faster the room. It is also the only one that comes with a "sleep mode" that will adjust the temperature while you sleep for energy efficiency and comfort. Both Honeywell and Whynter provides warranties for the unit and extended warranties for the compressor. While NewAir provides a warranty for the unit, it does not mention explicitly any extended warranty for the compressor. 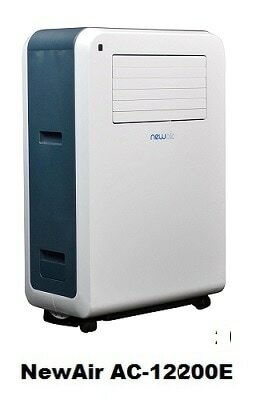 Please click the portable air conditioner of your choice below for price information or to purchase. Note: Amazon often provides a good discount on the List Price of sold products. If a discount is available, the List Price and the actual Amazon price will be shown when you click the Amazon product links below.